The venerable Ford F-150 is undergoing yet another transformation for the 2018 model year. 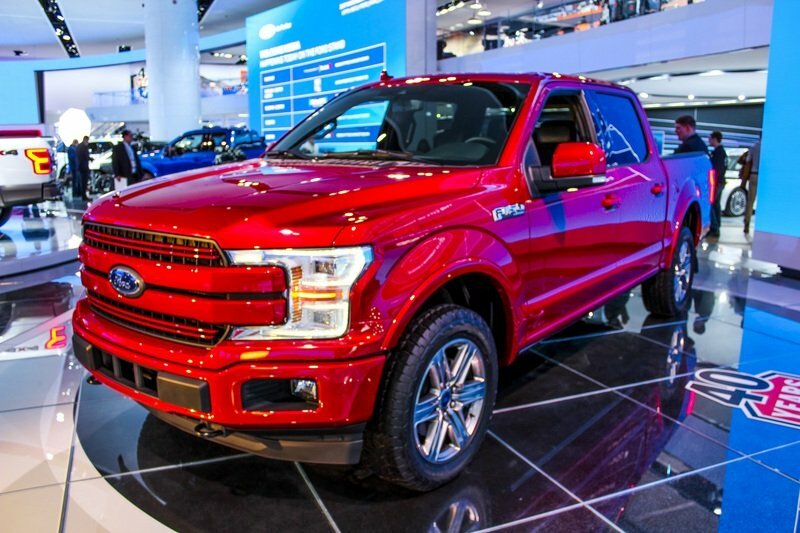 It was just back in 2015 that Ford debuted a completely new F-150 that used an aluminum body, a stronger steel frame, a more car-like interior, and a new 2.7- liter EcoBoost V-6 engine. Now just three model years later, the F-150 again goes under the knife. So what’s different? Plenty – keep reading for the details. The Powertrain – Ford has replaced or reworked every engine for the 2018 F-150. Well, that is if you include the all-new, second-generation 3.5-liter EcoBoost V-6 that debuted for the 2017 model year and carries over into 2018. Starting at the bottom, the old 3.5-liter V-6 is replaced with a more high-tech 3.3-liter V-6. This engine features direct fuel injection for a more precise burn and better efficiency. Ford says the engine should produce the same 282 horsepower and 253 pound-feet of torque as the outgoing 3.5-liter, but offer better fuel economy. The 2.7-liter EcoBoost V-6 now enters its second generation, just like the 3.5-liter EcoBoost in 2017. It now comes with both port and direct fuel injection, reduced internal friction, and “improved robustness.” We’re guessing that last part includes beefed-up internals. Sadly, Ford did not spill the beans on horsepower or torque specs, but we expect it to make more than the first-generation 2.7-liter’s 325 horsepower and 375 pound-feet of torque, plus with better fuel economy. Even less information was provided about the 5.0-liter V-8, but Ford says horsepower and torque will significantly increase. Of course, the biggest news is the addition of a 3.0-liter turbodiesel V-6. It will bear the Power Stroke name and is expected to offer class-leading horsepower, torque, and highway fuel economy. The Ram EcoDiesel currently has the title of 29 mpg highway. Ford should have no trouble hitting or exceeding 30 mpg. That’s because the Power Stroke will turn Ford’s new 10-speed automatic transmission. 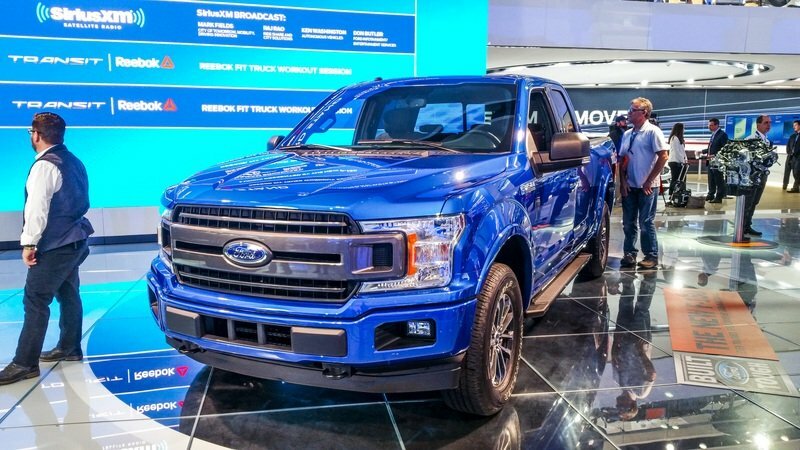 In fact, all F-150 engines will use the 10-speed automatic except for the base 3.3-liter, which will use the carry-over six-speed automatic. 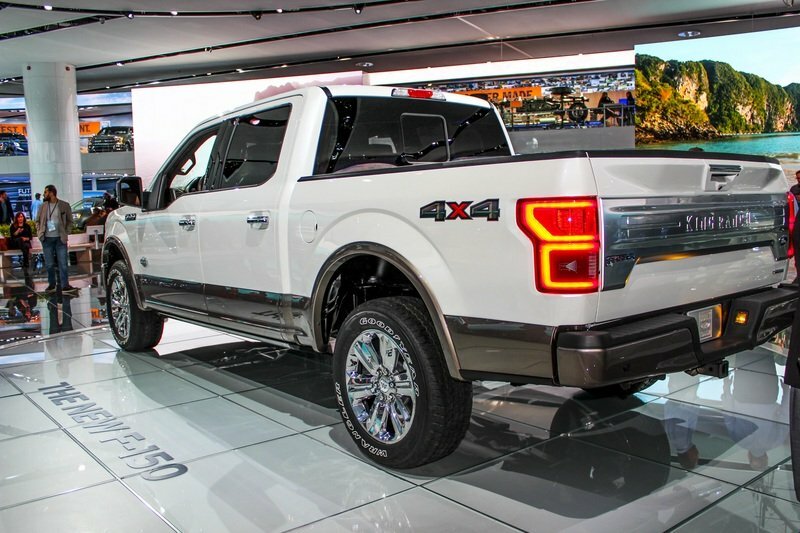 Ford also made shockwaves by announcing the F-150 will offer a hybrid powertrain by 2020. No official information was released about the system, likely because the powertrain is still firmly locked in development. We’ll bring you more as we have it. We’ve got two more categories for the 2018 F-150, so keep reading for more! Active Safety Systems – The F-150 is getting a full suite of active safety systems for the 2018 model year. This includes adaptive cruise control, Pre-Collision Assist with Pedestrian Detection, Pre-Collision Alert, and Lane-Keep Assist. An upgraded Blind-Spot Monitoring System now keeps track of blind spots beside a connected trailer that’s no longer than 33 feet. 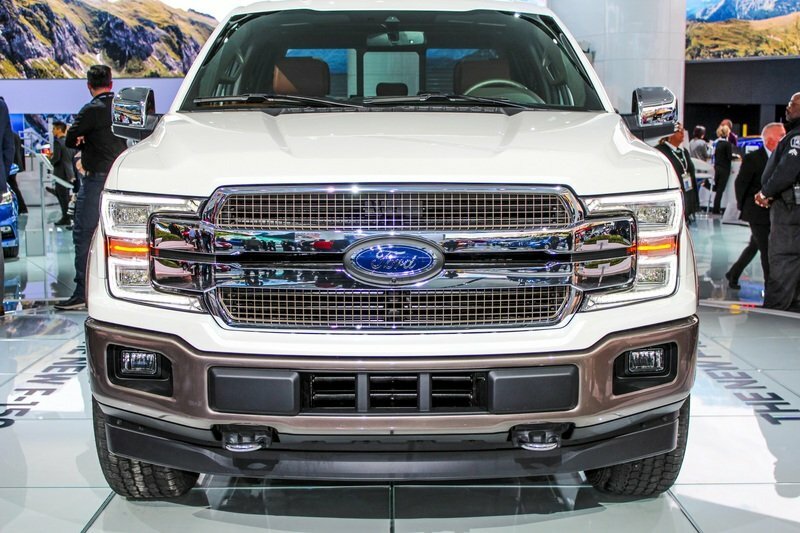 This is the same technology Ford debuted on the all-new 2017 Super Duty pickup. 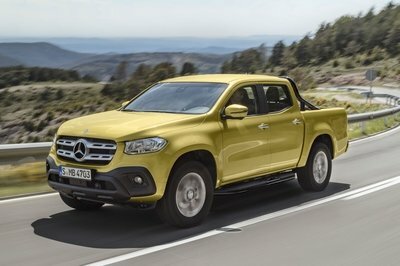 This marks the first time such an extensive number of active safety systems have been offered on a half-ton pickup. New Faces – We can’t forget the cosmetic upgrades Ford has done to the F-150. 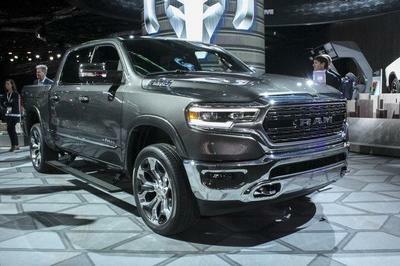 The truck now has a larger grille opening that dips into the front bumper, making it have a crease along its top. Ford says this design helps the F-150 look more planted and visually wider. Like before, the F-150 has more grille options and color/chrome choices than any other pickup on the market. 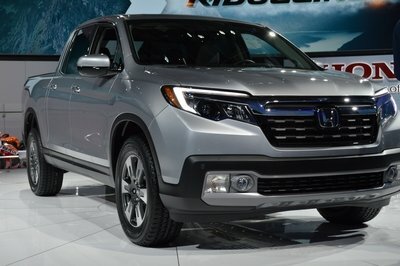 Every one of its seven trim lines comes with a different grille. Additionally, optional chrome appearance and sport appearance packages on some trims offer even more variety. Aside from the grille, the rear taillights now feature a different design. Admittedly, it’s very hard to spot the difference here. A new tailgate design is also present. A new crop of wheel choices are also present, though Ford has not provided a break-down of design and their corresponding trim levels. Beyond these changes, the 2018 F-150 continues to use the same sheet metal as the 2015 through 2017 F-150, including its interior. That’s not a bad thing though, as the F-150 was still the most current half-ton truck on the market, save for the 2017 Nissan Titan. 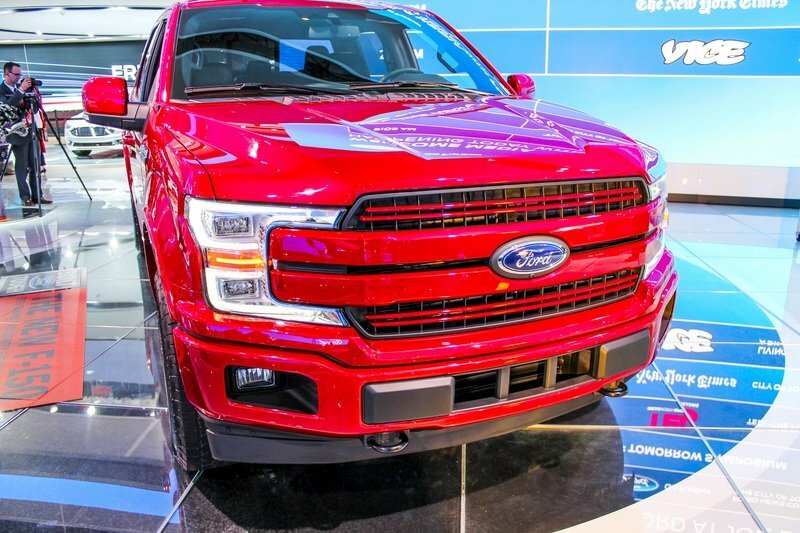 All told, the 2018 Ford F-150 represents a minor step forward in design, but a huge leap forward in the powertrain and active safety system department. This mid-cycle refresh should be more than adequate at ensuring the F-150 remain class-leading by most criteria till the end of the decade. 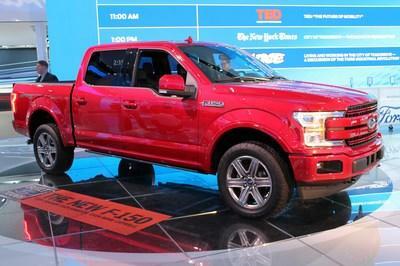 By then, Ford will have prepared its next-generation F-150. 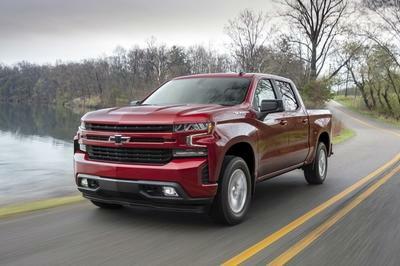 Of course, we don’t have any idea what the Blue Oval has up its sleeve for 2020 and beyond, but we do know the automaker will continue to heavily invest in its best-selling product.